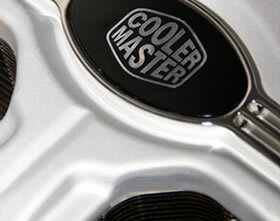 Cooler Master is a name most commonly known for luxurious cases, rather than performance CPU cooling. However, Cooler Master have made some bold claims about their new Z600 cooler, with passive cooling for quad-cores and active cooling promising high overclock capabilities for your CPU. We put the Z600 to the test to find out if it can really live up to the hype. Pentium D, Pentium 4 Extreme Ed., Pentium 4 HT, Pentium 4, Celeron Dual-Core, Celeron D, AMD Phenom, Athlon 64 X2, Athlon X2, Sempron. Cheers Jim, Brings warmth to your heart seeing it up there live! Could you give temps with the two fans attached @ 1.4v? Haven't gotten a chance to read through it yet, but something to mention is that on the graphs themselves the stock ones should explicitly say it was run passive and the OC'ed ones should explicitly say run with fans. Tons of people who look up cooler reviews only look at the graphs and don't actually read any of the review itself.